gau wu chant is an exercise of asking Siri Cantonese, Hong Kong and Siri Mandarin, China for “gau wu”(Mandarin: shopping; Cantonese: talking nonsense). 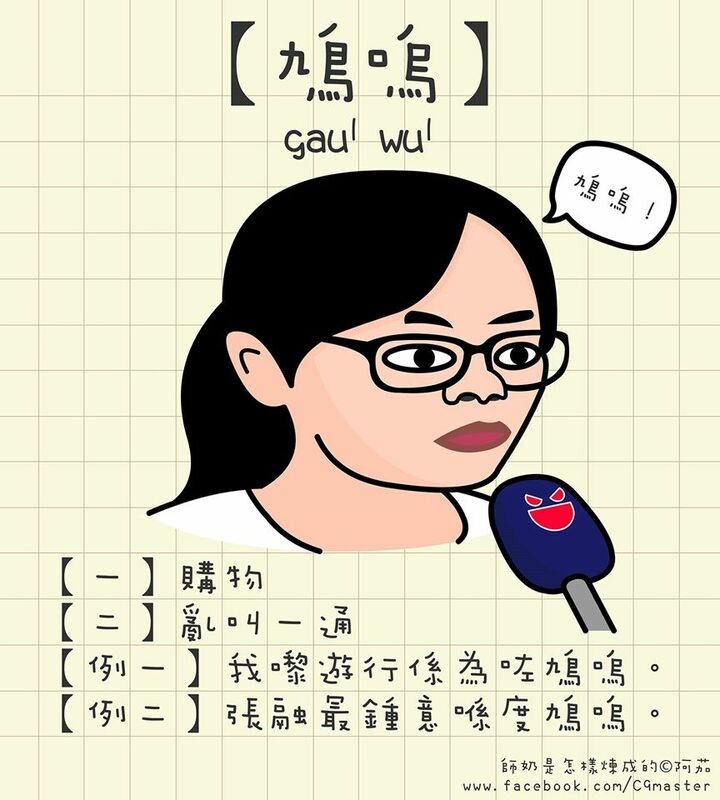 “Gau wu” is originated from a protestor in a campaign by “Alliance for Peace and Democracy” (who opposes “Occupy Central”), saying in Mandarin that she came for shopping (“gau wu”), which showed she knew nothing about the campaign, nor was she from Hong Kong(i). Hong Konger borrowed the pronunciation of“gau wu”and coined the term meaning “talk nonsense”. The term has appeared often in the movement, and became the name of movements and slogans in Mong Kok. “Gau wu” is not Cantonese; If it is shouted in a complete sentence as in the shopping protest, it could not be understood by Mandarin speakers either. Thus, the two Siris replied irrelevantly and rather randomly, generating repetitive and meaningless “chants”. Same as the term “gau wu”, the video is a word play that allows different interpretations by Cantonese, Mandarin and English speakers. Only those who possess the knowledge of the languages and the context could fully understand the “chants”. Do the different understandings of the term “gau wu” by Siri Cantonese, Hong Kong and Siri Mandarin, China resemble the reception of the movement in the two regions?